Welcome to the April edition of the Property Newsletter from Hardwicke. 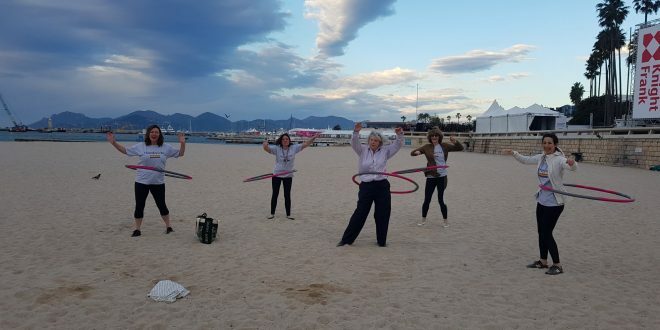 It’s April, spring is in the air and the team has just about recovered from all the early morning beach hula hooping and yoga at MIPIM. 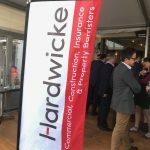 We were also delighted to see so many old friends and meet so many new and interesting people at Hardwicke’s party. We hope our guests had as good a time as we did! We are also very excited to announce that Alexander Bastin, Alastair Redpath-Stevens and Charlotte John from the Property Team have been appointed Deputy District Judges! In this month’s newsletter, John Beresford considers when a tenant loses the right to challenge the recoverability and reasonableness of service charges, and Cameron Stocks spins the Wheel of Questions. Brie Stevens-Hoare QC seems to have squeezed a bit of constructive trusts, telecoms and professional negligence along with a trip to the Court of Appeal on freezing orders in between MIPIM and the PLA Conference. She’s still smiling so presumably all is well. 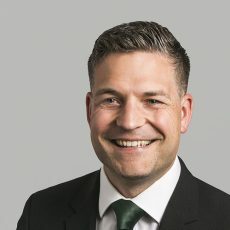 Daniel Gatty’s month involved two (successful) trials regarding mortgages and advising on matters ranging from multiple firms of solicitors’ negligence in connection with the same development to implied easements of support for a flying freehold. 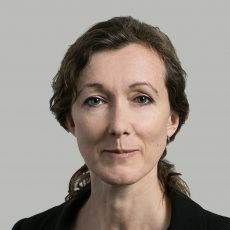 This month Amanda Eilledge has been advising on shareholder disputes between long leaseholders and the abandonment of a right of way. Carl Brewin toughed out some more tricky TOLATA negotiations this month, in addition to looking at an interesting question of standing a mortgagee has to bring proceedings for declaratory relief in respect of its borrower’s breaches rather than asking the Court to grant relief from forfeiture. Laura Tweedy has been busy enforcing the terms of a Tomlin order, dealing with business rates and settling trials! 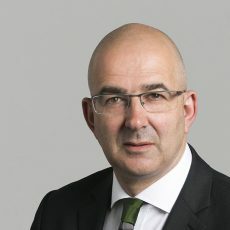 John de Waal QC has been working on a professional negligence claim arising out of a disputed attempt to operate a break clause successfully and also some agricultural arbitrations. Ravers in East London will have to find different locations following the protective injunction secured by Steven Woolf over hundreds of arches underneath train-lines owned by a large property company. In addition to appearing before the High Court in securing protective injunctions, Steven is busy preparing for a trial at the start of next month relating to a dispute between trustees of a large charitable organisation. Katrina Mather has been advising a major fashion retailer on the terms of a CVA and two high street banks on the scope for protecting or retaining their security over mortgaged property. Andrew Skelly has had a mixed bag this month, of advising a holiday park owner regarding lease extensions; advising tenants regarding collective enfranchisement; advising purchasers regarding a conveyancer’s professional negligence; advising a local authority regarding issues under the Telecommunications Act 1984 and the Communications Act 2003; and drafting claims in property damage and noise nuisance, breach of overage clauses and rights of way. 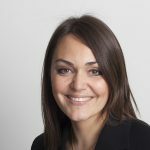 Mortgage fraud has featured prominently in Charlotte John’s practice this month and she has been advising in two tricky cases featuring a mix of title issues arising in the wake of possible mortgage fraud and involving questions of adverse possession, forfeiture, trusts law, and illegality defences after Patel v Mirza. Charlotte has also successfully secured the strike out of a breach of trust claim concerning a balance sheet insolvent trust and allegations of breach of trust and fraud arising from the trustee’s land dealings. During something of an odd month, Alastair Redpath-Stevens has been dealing with badly drafted restrictive covenants on the one hand and defective roofs on the other as well as enquiries about the right of first refusal, lease extensions and two disciplinary tribunals, although perhaps the highlight was getting a letter informing him that the Lord Chief Justice had been pleased to appoint him as a Deputy District Judge. 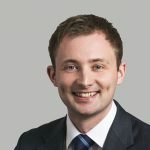 James Hall is dealing with yet another professional negligence claim against solicitors in relation to renewal of business tenancies, though this one manages to bring in the law relating to options, land registration and overriding interests as well! He also had to give his first bit of advice on the impact of Brexit, in relation to service out of the jurisdiction in Ireland, of another property-related prof negligence claim. Lina Mattsson has had a hectic month, including a 1954-Act lease renewal trial (the third one in six months which has not settled – unheard of!). In between trials Lina has been advising on overage and restrictive covenants. 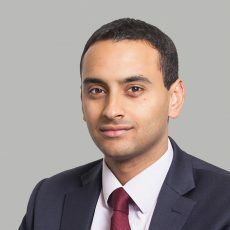 Jamal Demachkie attended his first MIPIM in Cannes, and enjoyed meeting so many solicitors and clients (and partaking in a spot of beach-hula hooping!). Cameron Stocks’ month provided a mix of interim injunctions to restrain unauthorised building works, tenancy deposit claims, mortgage possession and arguments as to the determination of an Agricultural Holdings Act 1986 tenancy. Cameron is looking forward to taking a few weeks off to go diving on the Great Barrier Reef! 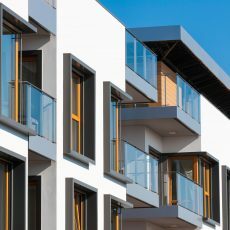 A tenant is entitled to make an application to the First-tier Tribunal (Property Chamber) to challenge the recoverability and reasonableness of service charges. How far back can a tenant go when challenging their liability? Each month, a member of our property team has to spin ‘the Wheel of Questions’ and answer the first three questions that come up. This month, Cameron Stocks tried his luck with the wheel. Q: At what job would you be terrible? Anything involving looking after children. I have four nephews and a niece ranging from 14 months to 10-years-old whom I adore with all of my heart. However, after a couple of hours running around playing with trucks, dolls, colouring in and watching Peppa Pig, I delight in handing them back to my siblings. I honestly don’t know how parents have the energy. Q: Where do you most hope to visit? Anyone who knows me will be aware that I have a love for/obsession with elephants. I have been fortunate to work with Asian elephants across south-east Asia and I currently sit on the board of an Asian elephant conservation charity (https://stae.org). However, I sadly haven’t had the opportunity to see African elephants in the wild so that is very high on my to-visit list (if my partner is reading this – hint hint!). To find out more about our Property Team and their work, visit the property page on our website. To view a copy of our privacy statement, please click here. The Property Newsletter is edited by Lina Mattsson. Comments or queries about this newsletter? Please get in touch with her!